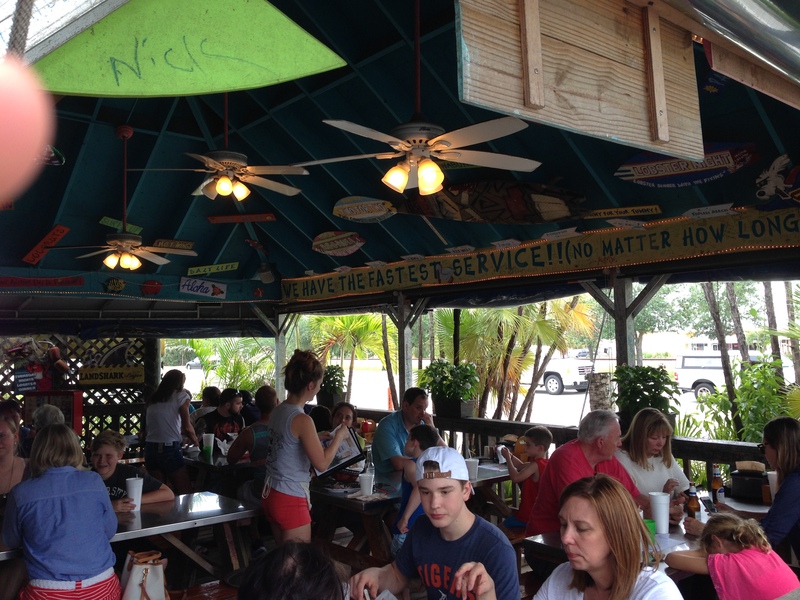 Today’s entry on Mastication Monologues is a short one and the penultimate in my Florida food chronicle. 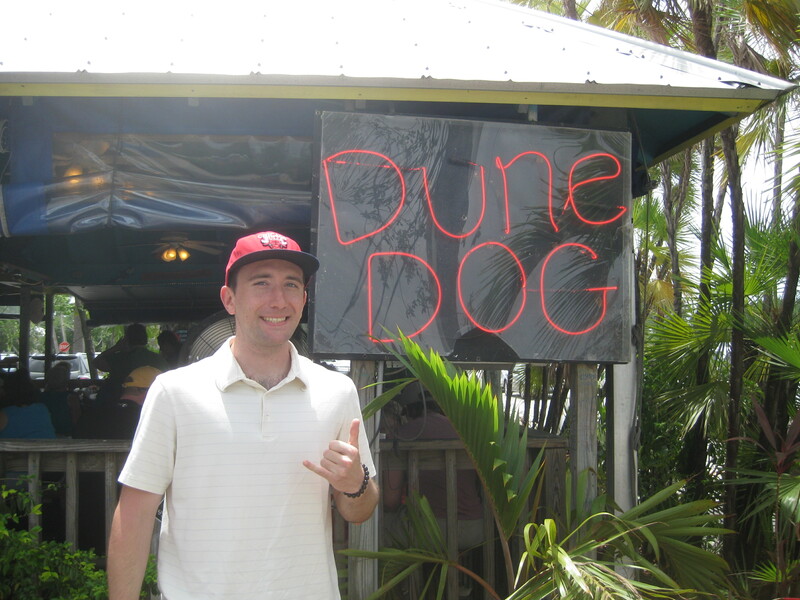 My final lunch on vacation took place in an eatery called Dune Dog Cafe located at 775 N. Alt A1A Jupiter, Florida. 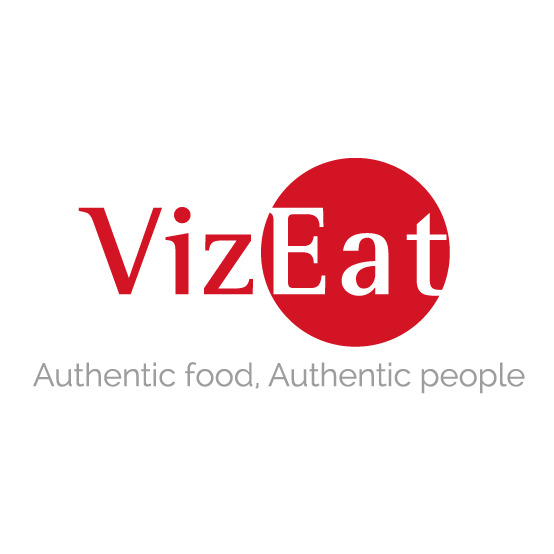 I didn’t know what really to expect in terms of food, but my parents were raving about it. So when we arrived, it was a small, tropical shack of sorts that was all open air dining which once again made me wonder what they did when the winds and rain picked up as they always seemed to do in the afternoon in Florida? Pondering aside, it looked like the natives were quite restless as a line streamed out the front of the hut as we attempted to find a spot in their meager parking lot. After about 45 minutes of leaning up against our rental car, baking in the noon sun, and watching crowds of urchins wrestle with each other as their mothers attempted to corral them, our reservation name was called. We made our way around to the back part of the restaurant. It was more relaxing since we didn’t have hordes of hungry diners giving us the evil eye for not eating quickly enough. After looking over the menu that had mainly American food like burgers, salads, hot dogs, and chicken wings, I went for the last option. Ten wings with half barbecue sauce and half sesame sauce. The prices were very reasonable (5-12 dollars for a meal. Apparently, one of the waiter’s mom’s worked with my mom’s friend who we were eating with, so we got a free appetizer called “Yankee nachos”. Being Yankees ourselves, we found it interesting that they see us as people who only eat potatoes instead of tortilla chips. Regional differences aside, this was one tasty platter. 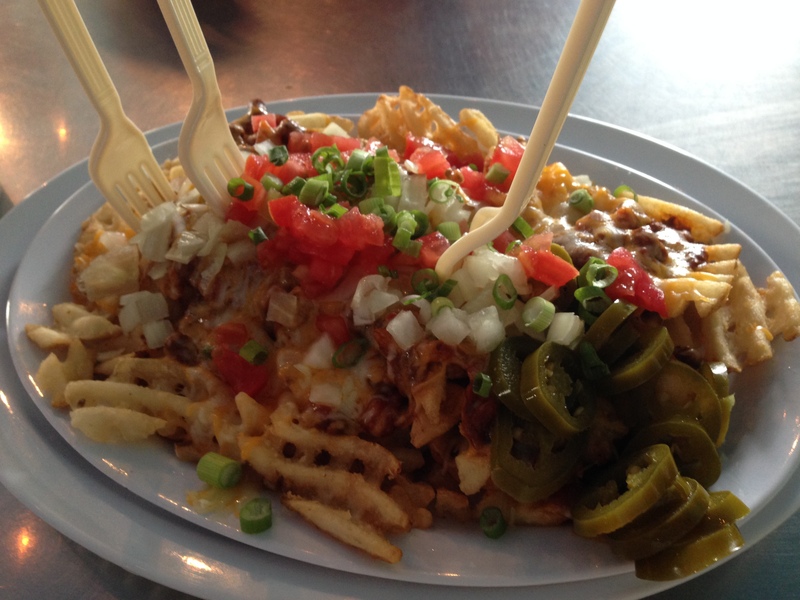 It consisted of waffle fries piled high with all the classic nacho toppings like two types of cheddar, olives, guacamole, onions, tomatoes, and jalapenos. Once we all polished that off, my wings came out, and they looked like a smaller version of Hooter’s wings that I am ever so fond of. As for the taste, I was greatly satisfied. Not only was there plenty of meat, but the crisp batter, smoky barbecue sauce, and slightly aromatic sesame sauce really made me think that something this great for the cheap price was fowl. 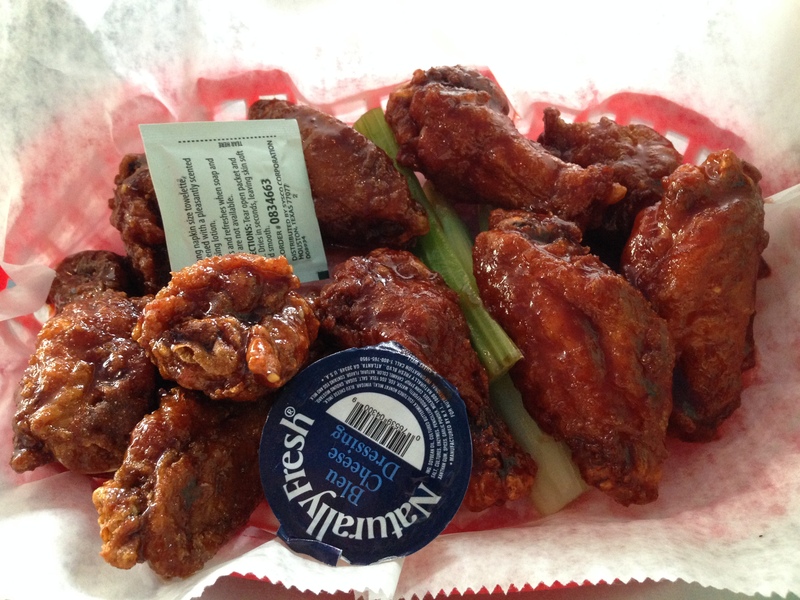 Actually, the only thing that ruffled my feathers was the bleu cheese dressing that seemed oddly acidic. Nevertheless, as I wiped the sticky saucy aftermath from my fingers and mouth, I could see that Dune Dog truly did live up to the hype. 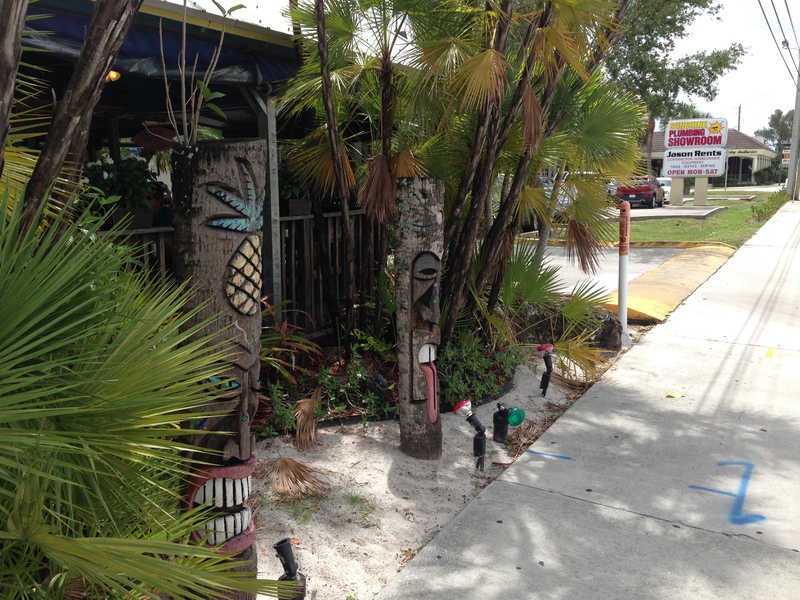 So if you want to check out a great family restaurant that has a beach vibe far from any sandy shore, hit up Dune Dog Cafe.